Clear the Java Web Start Cache using a command line in Microsoft Windows 10, 8, 7, Vista, or XP. 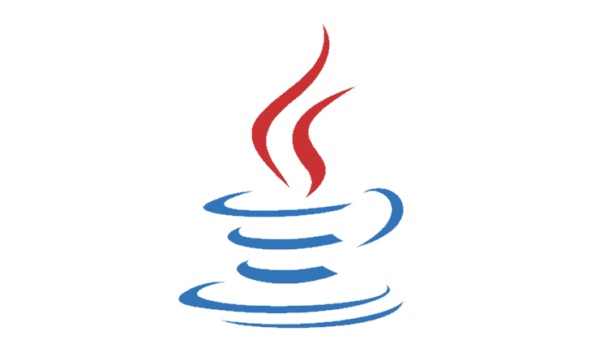 When a Java app is accessed, it is downloaded to a cache on your computer. This allows quicker access. 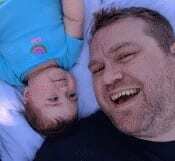 Sometimes the caching may cause problems, especially if you’re in a developer environment. 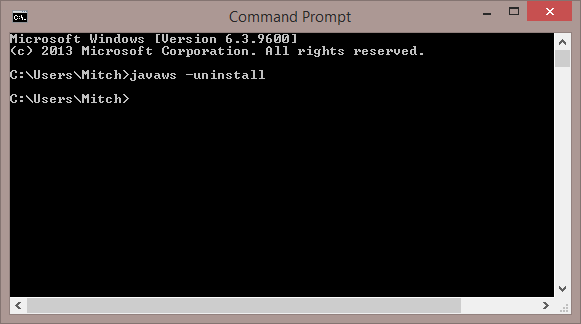 Type “javaws -uninstall” without quotes, then select “OK“. You should see a pause and then the cache will then be cleared. No notification will appear to tell you the command was successful. 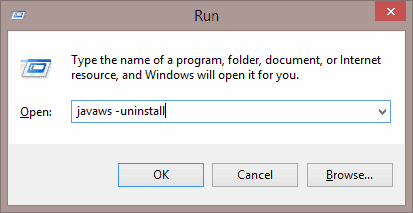 You could also run this same command from a classic command prompt. Open “Control Panel“, then select “Java“. From the “General” tab, select the “Settings…” button. 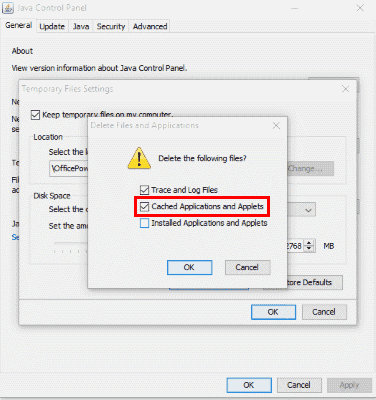 Ensure the “Cached Applications and Applets” option is selected.